In order to survive throughout their 50 million year long evolution, the equine species developed several survival skills: the ability to flee with great speed, and a unique intuition, which allows them to sense the intentions of predators. For instance, a zebra may drink unconcernedly next to a lion at a water hole, if he feels that the lion is not in a hunting mood. Curiosity is another of their survival skills, because it takes an explorer’s mind to find grass and water in difficult environments. Last but not least, horses are social animals. They need to belong, not just for safety, but also for companionship, shared joy, play, and comfort. The human-equine relationship is unique. After 6000 years of co-evolution between predator and prey, each has influenced the genetic makeup of the other. Thanks to domestication, humans on horses thrived, while domesticated horses were promoted from meat of choice to valued and essential companions – often working together with humans in the face of violent, life-threatening situations. Today, each time a human approaches a scared or shy horse, the primordial gesture of domestication is being repeated. Contact between humans and horses has been shown to trigger releases of oxytocin among both partners. 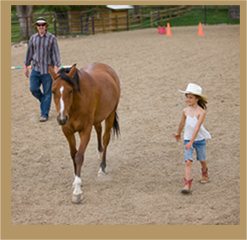 For instance, stroking a horse’s withers reduces a horse’s heart rate and has a calming effect. 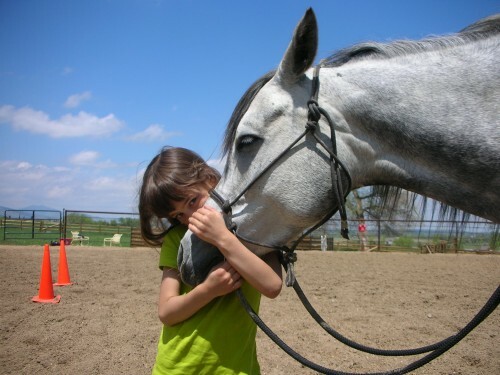 In turn, the horse’s slower heart rate similarly impacts the human’s heart rate, thus activating a positive loop of inter-species affect regulation and communication beyond words. The ideomotor principle, muscle reading, visuomotor mirror neurons, and a horse’s ability to perceive the pheromones released by human emotions are some scientific explanations for the often uncanny mirroring and metaphors that horses present to their human counterparts. 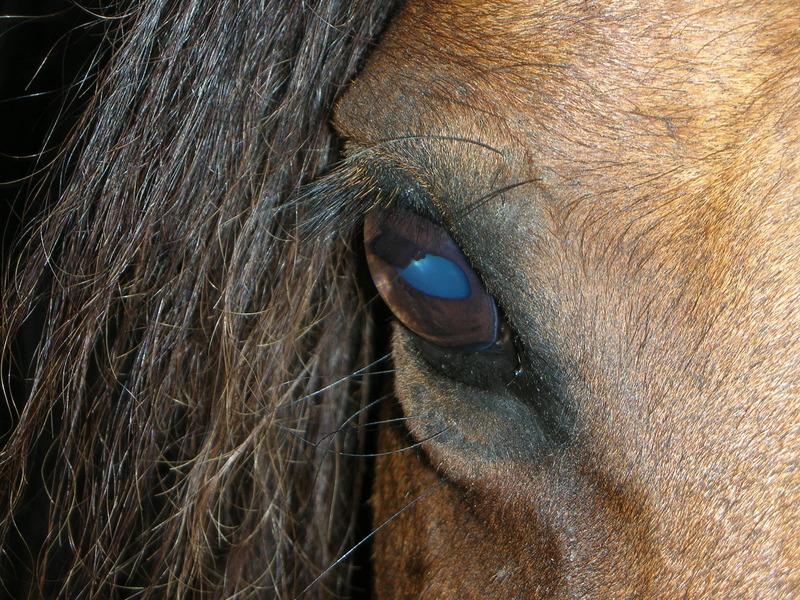 Put simply, horses read and react to the conscious and unconscious signals that we send. For this reason, interaction with horses may allow us to develop awareness of our unconscious communication with the outside world – unconscious messages that we constantly send, which shape our environment’s response to us (often much to our dismay! ).